Level Priority: Super Speed at level 1, Mach Punch after that. Play: Every time you clear the minions, check out the map and look for the opportunity to harass the enemy jungler or steal his creeps. If no such opportunity is available, visit the side lanes, jump in with Super Speed, use Mach Punch for damage, position yourself behind the enemy and use Super Speed again to return. In case the ultimate is available, use it to try and control the enemy. Every time The Flash moves 4 units, he will receive one stack of the speed force. Upon reaching 10 stacks, The Flash will activate the speed force, strengthening his next normal attack while dashing forward. He also temporarily reduces his target’s movement speed by 50% and deals (+100% of AP) magic damage. When he hits his target, he gains a shield of 350 (+50% of AP). -You should constantly keep moving to gain stacks as fast as possible. After a short charge up, The Flash dashes forward, dealing 200 (+40% of AP) magic damage to all enemies in his path. The Flash cannot be controlled while dashing and can cancel the dash by using another ability. When The Flash reaches his destination, he can activate the skill again to return to where he started, dealing 200 (+40% AP) magic damage. 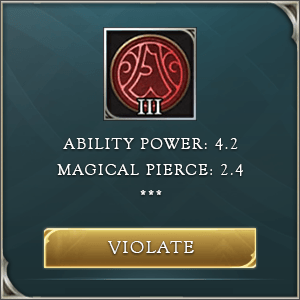 Enemies damaged by the initial dash are dealt an additional 300 (+75% of AP) magic damage. -You can dash through walls. -After the initial cast, you have 5 seconds to reuse Super Speed to return to starting position. Super Speed goes on cooldown after the 2nd cast. You gain Sonicboom stacks when you use Super Speed. -Take Super Speed at level 1. The Flash channels the speed force and punches an enemy 5 times within 0.8 seconds, dealing 135 (+20% of AP) magic damage every time. The last punch deals double damage and, when it hits an enemy, grants The Flash a 40% movement speed increase that weakens over 2 seconds. -You can move while channeling Mach Punch. -You cannot cancel the ability’s channel. -You should max Mach Punch first. 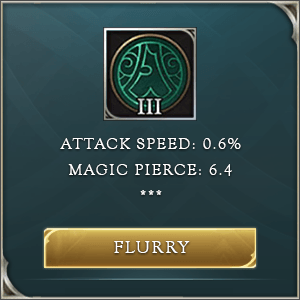 The Flash takes off in a circle and creates a cyclone, dealing 90/130/170 (+12% of AP) magic damage to surrounding enemies for 2 seconds. While he is generating the cyclone, The Flash cannot be targeted by abilities and can move the cyclone’s position at 30% of his movement speed. 2 seconds later when The Flash stops, the vacuum from the cyclone pulls in surrounding enemies, dealing 500/750/1000 (+70% of AP) magic damage and reducing their movement speed by 40% for 1 second. -Great mobility. Super Speed is a dash ability with an extremely long range which makes you very mobile and hard to catch. -Great initiation. Super Speed combined with Cyclone makes it an exceptionally potent engaging tool as both abilities make you untargetable. -Relatively long cooldowns. While your abilities are recharging be very careful since during that time you are most vulnerable. This makes cooldown reducing items pretty much mandatory for your build. -Most of his abilities are close range. You need to get up close to the enemy to utilize your full damage potential and a slight mistake can lead to your death. With The Flash, you will mostly focus on the Dark Slayer lane. You want to clear minion waves as fast as possible and move towards the enemy jungle to create chaos for your opponents. You will want to circle between your lane, jungle and the middle lane. With your arsenal of skills, you can easily dish out some burst damage and then return to your starting position. Keep doing that until the game reaches a point where grouping and team fighting is a must. The Flash has great team fighting and initiation abilities. You start with Super Speed into Cyclone as both skills make you untargetable. It is a great combo since reactivating Super Speed returns you to starting position and removes you from danger. Just move around the fight a little bit more and repeat. Keep using Mach Punch when safe for maximum damage efficiency.